Mr. Aranha, an Electrical Engineer, is the former Head of Distribution and Transmission for Tata Power and Technical Training for Mumbai operations. In his 40 year career in Tata Power he has a wide field experience in the areas of Generation, Transmission, Distribution, Projects and Technical Training. He was also the Project Engineer during the construction of Tata Power's Malad Receiving Station. Mr. Aranha was instrumental commissioning of training simulators for 250 and 500 MW thermal power plant in Tata Power. Mr. Aranha's is an expert in the areas of Electrical - Transmission and Distribution Systems and Safety and has helped TPSDI develop its training offerings in these areas. He conducts classes for Cables, Safety, Transformers, Switchgear, Lines and Cables. Mr. Aranha is fond of music and drama and has an enviable stamp and coin collection. Mr. Hari S. Rohra, an Electrical engineer from VJTI, has nearly 32 years of experience in Tata Power in different capacities and departments - construction, operations and maintenance for various divisions of company. Mr. Rohra's expertise in the field of electrical operations and maintenance and solar photovoltaic systems. For TPSDI, apart from managing the administrative responsibilities for TPSDI-Shahad, he teaches maths, solar photovoltaic systems and electrical power systems. Mr. Rohra loves his music and you will often find him humming along to the songs from Bollywood's golden era of music in the 60s and 70s. Mr. Tole, D.E.E. (Electrical) has 25 years of wide experience in thermal power plant operations. Since 2008 he is heading technical training based out of Tata Power's Trombay Thermal Power Plant and is responsible for training diploma engineer trainees, graduate engineer trainees, staff, engineers, and apprentices. From 2014 onwards he moved to TPSDI, where apart from handling administrative responsibilities at TPSDI Trombay, he also teaches thermal power plant cycle & components and Employability skills for apprentices. Mr. Tole likes listening to music and has represented Tata Power in cricket, table tennis and badminton. Mr. Sateesh Mahajan is an Electrical Engineer from the College of Engineering, University of Pune and has been with Tata Power for the past 27 years. 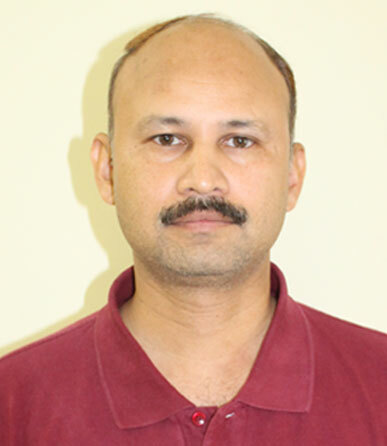 Mr. Mahajan brings in vast experience in the Power Transmission & Distribution as well as Operations areas. At TPSDI, Mr. Mahajan handles the responsbility as the Principal, TPSDI - Shahad, where he also teaches Electrical and employability related subjects. Gautam Sonawane, is Tata Power's resident expert on all things related to cable jointing & Laying, Cable route drawing and patrolling. Mr. Sonawane, an NCVT diploma holder and a licensed PWD wireman, has nearly 30 years of experience working with cables in Tata Power. His extensive experience covers L.T., H.T., E.H.V. - 1.1 KV to 220 KV cables - laying, jointing, termination. Mr. Sonawane often functions as an external expert for Cable-related NCVT examinations for the ITIs in the Mumbai region. Presently, Mr. Sonawane teaches Cable - theory & cable jointing, termination, cable route drawing and patrolling. Mr. Sonawane, is a sports enthusiast who regularly participates in Tata Power inter-divisional cricket and chess tournaments. 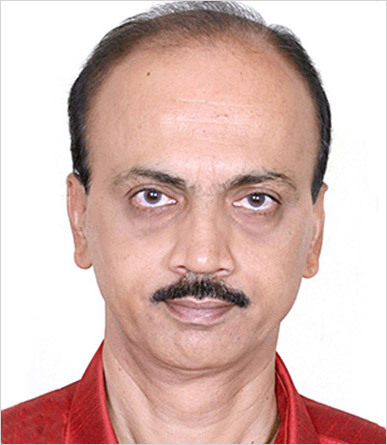 Mr. Shankar Warrier has 35 years' experience in the fields of Power Generation, Transmission and Project Management. He has worked in various capacities in Thermal and Hydro Power Stations as well as transmission stations. At TPSDI, Mr. Warrier impacts training in various Electrical subjects including Electrical Safety. 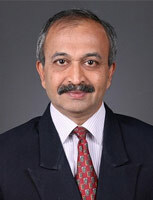 Mr. Abhinoy Nandi, A.M.I.E. (Mechanical), has over 18 years of experience in various capacities as Asst. Director and Dy. Director at Foremen Training Institute, Bangalore, Advanced Training Institute, Mumbai, Central Staff Training And Research Institute, Kolkata, and the Directorate General of Employment & Training (DGE&T). Apart from an extensive experience with vocational training institutes he has also designed various need-based curricula and conducted training programs for organisations like MICO, BHEL and HAL. Mr. Nandi has also worked with various Indian Ordnance Factories for over 16 years in the field of design, development and manufacturing of Special Purpose Machine Tools for Vehicle & Weapon. In 1996, he was selected to Central Government Group A Gazetted Post by Union Public Service Commission (UPSC), New Delhi and posted under DGE&T, Min. of Labour & Employment, Govt. of India. During his stint with the DGE&T, he was the mentor for the State of Maharashtra to set up Institute for Training of Trainers (ITOT). Mr. Nandi is an expert in the Mechanical trade, design of machine tools, design of need-based curriculum, imparting skill training and its assessment. Apart from handling the administrative responsibilities for TPSDI-Maithon, he conducts classes and has helped TPSDI develop training for the Fitter trade. Mr. Nandi is fond of listening to Tagore's music and likes to read novels. Mr. Surender Kumar, a has Completed his BSc Engineering & Technology in Mechanical from BITS Pilani, and has nearly 19 years of experience in power plant and allied industries related project management and construction. 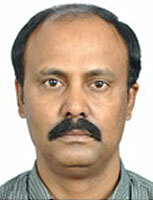 Mr. Kumar has been involved in construction of thermal power plants, petroleum refineries, and process plants. He has specialization in piping fabrication & installation and in structural steel fabrication & installation. With Tata Power, he has been a part of various large projects like Trombay 1 X 250 MW, JSW 8 X 135 MW at Barmer, Rajasthan, CGPL 5 X 800 MW at Mundra, Gujarat. 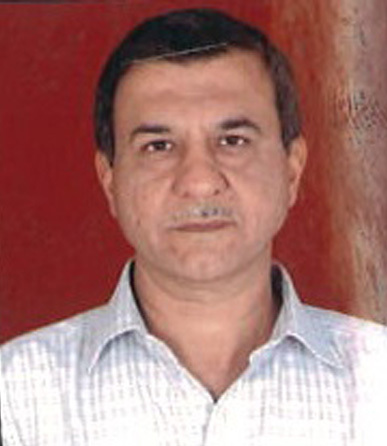 Mr. Surender Kumar is the Principal of TPSDI-Mundra. Apart from managing the Mundra hub of TPSDI, he also teaches Safety, Maths and Science and Soft Skills at the institute. 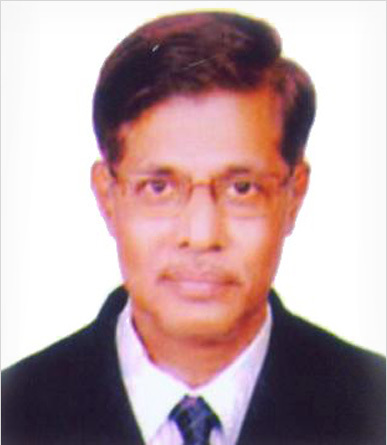 Mr. Moloy Acharjee has a Diploma in Mechanical Engineering has over 25 years of work experience in the field of O&M in the Iron & Steel Industry, Cement Industry & Power Generation. He has worked at Tata Power as the Group Head at Jameshedpur in the Mechanical Maintenance department and has been involved in commissioning, operation and maintenance of Turbines, Boilers, Aux. Equipment, Coal Handling Plant, Ash Handling Plant etc. Moloy has led many quality initiatives at Tata Power and is an Internal Assessor/Auditor for TBEM, ISO-9001, ISO-14001 and ISO-18001 Standards. He was one of the founding members of the TPSDI team and presently works as the Principal - TPSDI Jojobera. He is also a Senior Trainer for mechanical trades, maths and science at TPSDI Jojobera. His extra-curricular interests include painting & sculpture, travelling, listetening to music and recitation. 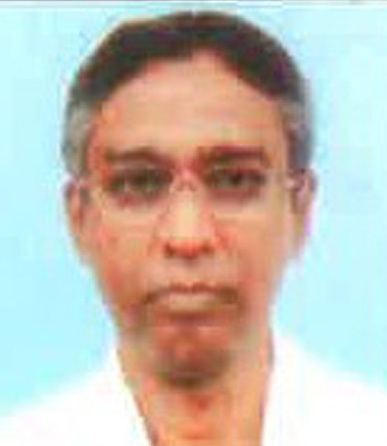 Mr. Alok Prasad has a Bachelor's Degree in Mechanical Engineering and a Post Graduate Diploma in Thermal Power (from NPTI). 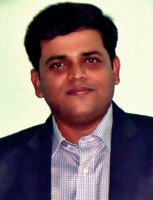 Alok is also a Certified Associate in Project Management from the PMI (USA). Alok has 14 years' work experience in the Metal and Steel Industry and the Power Sector, where he has been involved in Thermal Power Plant Operations, Erection and Commissioning of Boilers and Auxillaries, and Project Management. At present Alok works as Principal - TPSDI Maithon and also teaches mechanical subjects, maths and science at the Training Center. Mr. Balaraja K Bhat, is former Head of Tata Power at MEPL division at Andhra Pradesh and former Head of Tata Power DG based 81.3MW plant at Belgaum, Karnataka. In his career of 32 years at Tata Power, he has a wide experience in areas of Mechanical Maintenance of Power plant equipments including Steam Turbines, High Pressure Boilers, Steam Condensers, Boiler Feed Pumps, Reciprocating and rotating machines). He was also involved in erection erection and commissioning of 180MW - CCPP Trombay U#7. Balaraja brings with good administrative and collaborative experience required for building up effective systems and teams required for building up effective training centre at Trombay. 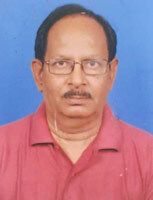 He is presently working as the Principal - TPSDI - Trombay. He is fond of Karnatak Classical music, reading and site seeing. 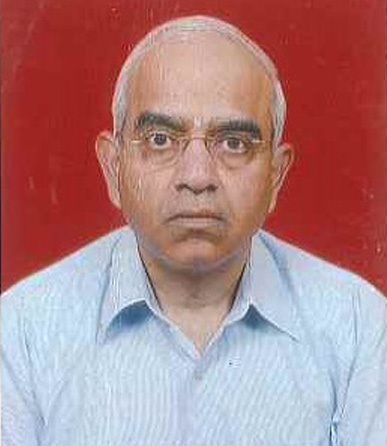 Mr. Dinanath R Kamath, an Electrical Engineer from VJTI, has over 38 years of experience in Tata Power. Mr. Kamath is the former head of various nodes for Tata Power's Transmission - Mumbai operations. In his career spanning over 38 years in Tata Power he has a wide field experience in the areas of Transmission, Distribution, Projects, Technical & Safety training. Amongst other roles he was also the Head Planning & Performance of Transmission. As a Project Engineer, Mr Kamath was involved in construction activity during expansion of Tata Power's Kolshet Receiving Station. Mr. Kamath is passionate about organisational safety and was instrumental in driving Safety practices across Tata Power's Transmission division. 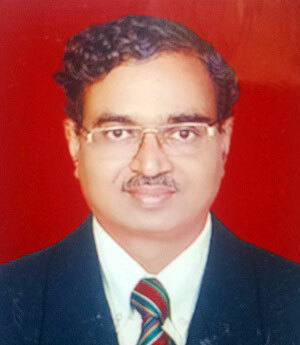 Mr. Kamath's expertise lies in Electrical Transmission and Distribution Sub-Station Systems and of course Safety. He conducts training for TPSDI in the following subject areas: Safety, Transformers, Switchgear, and Lines. 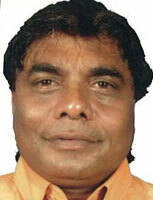 Deeply Spiritual, Mr. Kamath in his free time, listens to spiritual music or sings devotional songs. He likes reading spiritual and technical literature and belives in giving back to the society thorugh "Seva."